It has been a grotty horrid start to the week here in my little corner of the world. We woke up to fog and rain. It has remained grey and cold but thankfully the rain stopped around about lunch time which has enabled Simon to get on and fix the guttering on the garage. I have had a sort of slow day. A bit of normal housework, a bit of sewing, a few phone calls, a bit of blogging. I don't actually feel too great. Probably just tired. The washing machine is yelling out that it has a blocked filter again but I know it hasn't. It keeps on doing this. I hope it isn't about to go totally up the creek. Simon said he would look at it at lunch time. It is 6.30pm now and I am still waiting. That is the trouble with him working on the wretched garage, nothing that I need doing gets done. One of the towel rails in the bathroom fell off the wall on Thursday and I am still waiting for him to screw it back. Yes, I am sure I could do it myself if I could locate the necessary tools in the garage but frankly why have a husband and DIY? That is mans work! As there is not a lot to report today I thought I would post a few photos for you. My friend Pam said she missed seeing the little ones so here you are Pam. Evan, Ellie and Flynn out for a walk. Miss Ellie. 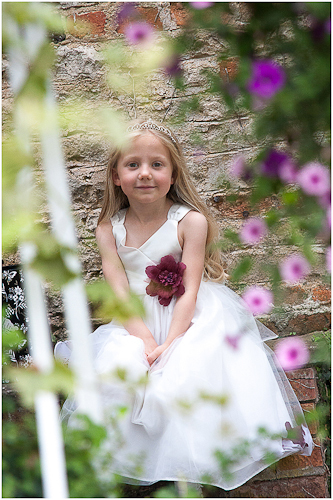 This was in September when she was a bridesmaid at her Mummy's sisters wedding. Miss Jessica. 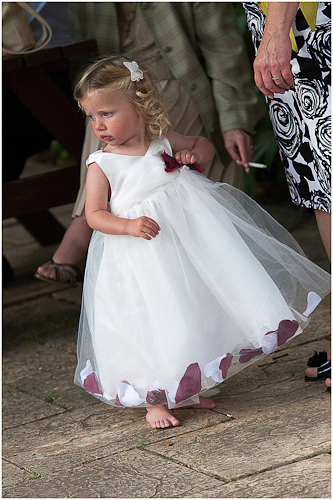 Flower girl at the same wedding. Now how about some of Saskia? As well as working as a learning support in a school, teaching various dance disciplines and zumba she is also once again performing. She is part of a group of 4 known as Apsara. They perform mostly Eastern and Latin dance. Saskia, for those of you that don't know is the one with the red hair, front right. I still find it odd to see her with red hair! 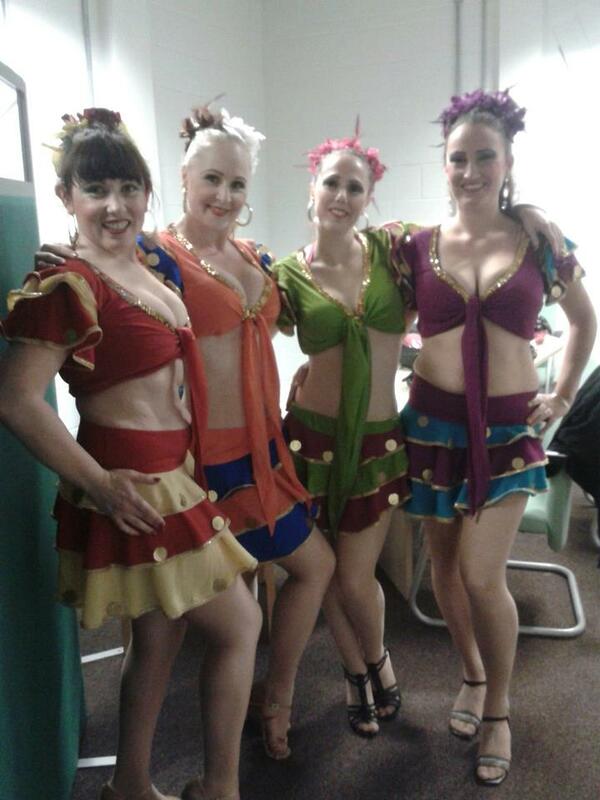 These were back stage at the Curve theatre, Leicester. She is the one in green. 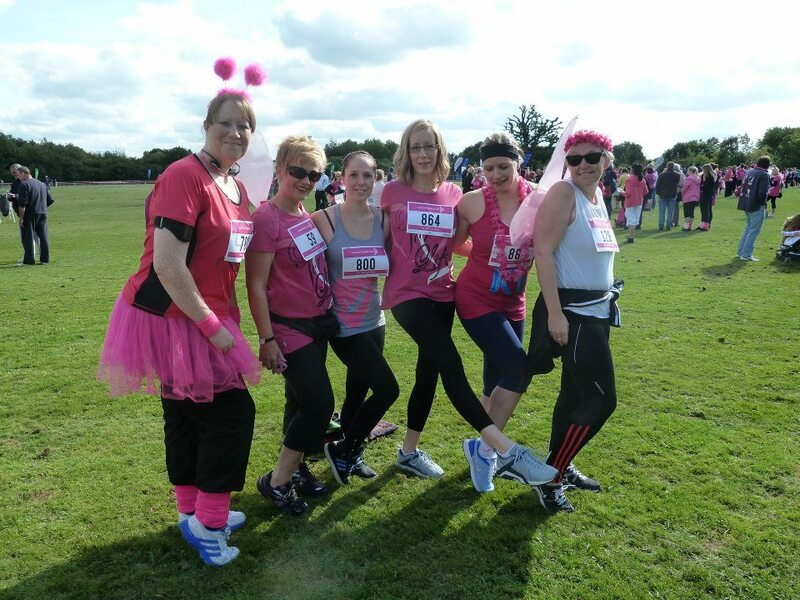 Back in the summer Saskia took part in the Race for life in aid of Breast cancer care. She is the small one in the middle in the grey vest.. 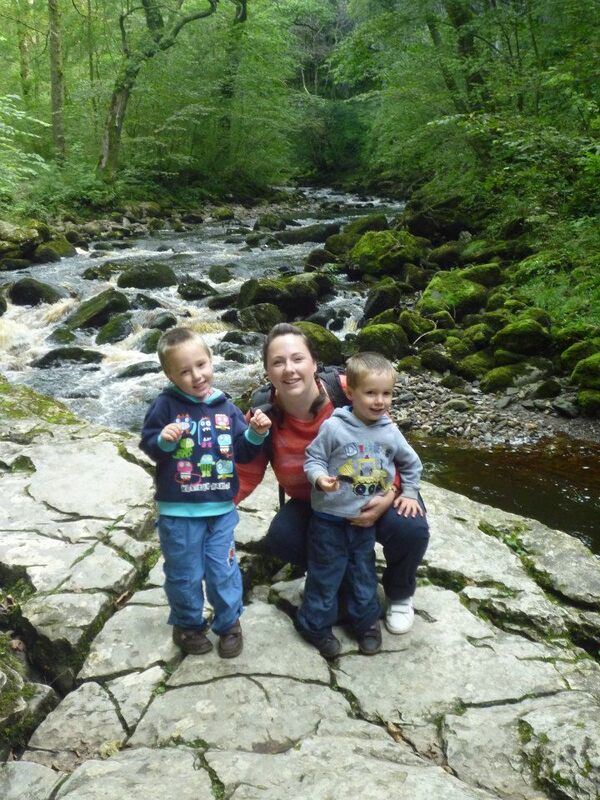 This is a photo of Coralie and the boys taken in the summer. Guess that is it for now. Lots to do! Thanks for sharing the photos!! The children are adorable! It IS frustrating waiting on someone else to do a job that needs to be done. I'm with you, though. If I do it once, it will become my forever job. Some things I just refuse to do!! Wishing you a good Tuesday! Awww..such sweet photos! I'm new to your page. Are these your grandchildren? They are so cute! I totally understand your frustration with having to wait on someone else to get something done. I usually threaten (in a nice and innocent way..lol)that I am going to hire someone to fix this or that and it's amazing how fast Walt will say he will get it done..haha. Have a terrific Tuesday! Ellie, Evan, Flynn and Jessica are my grandchildren. I have another on the way. Saskia is my youngest daughter. I have 5 children. 3 girls and 2 boys.